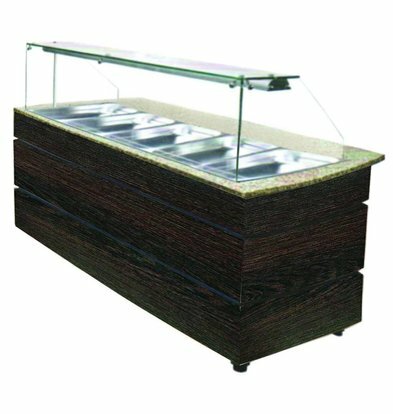 When you find XXLhoreca Bain Marie buffet islands and wall buffets very reputable brands and suppliers. 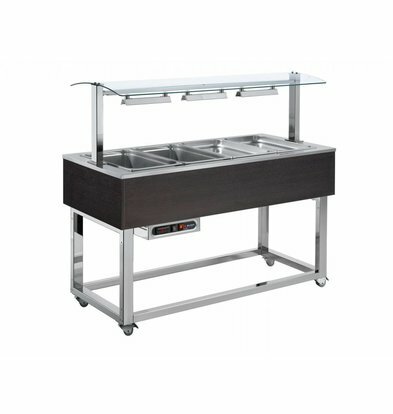 Each of the cream of the crop when it comes to ergonomic catering islands also e ens to be moved easily. 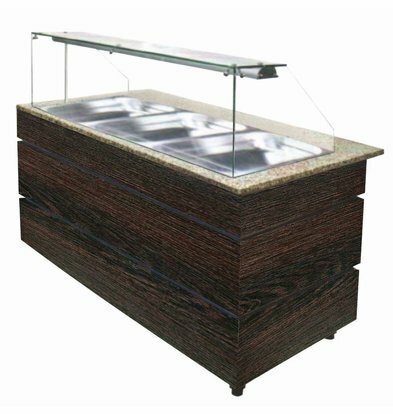 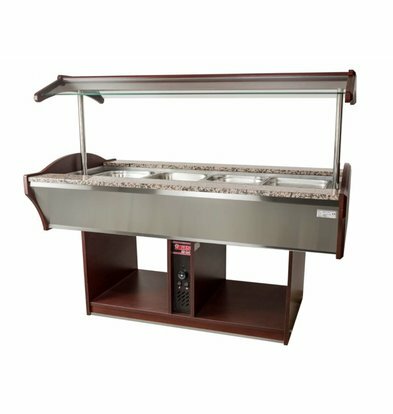 Our bain marie islands and wall buffets obviously come standard with heating, electronic thermostat and convenient ledigingsssyemen so that moisture and water are always easy to handle. 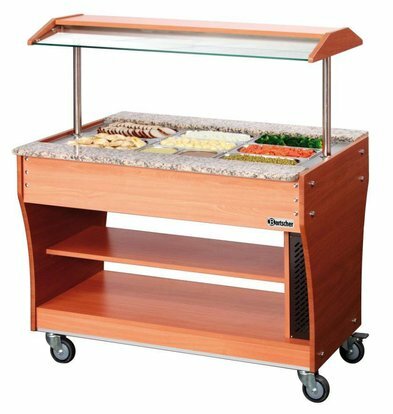 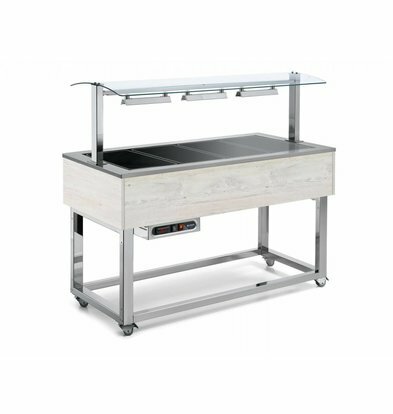 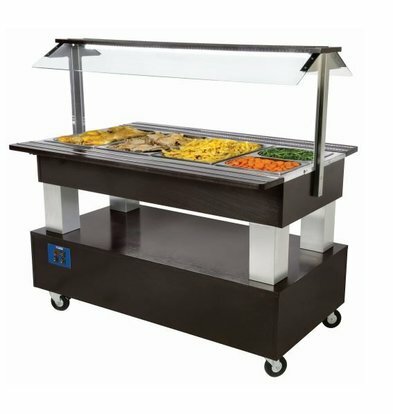 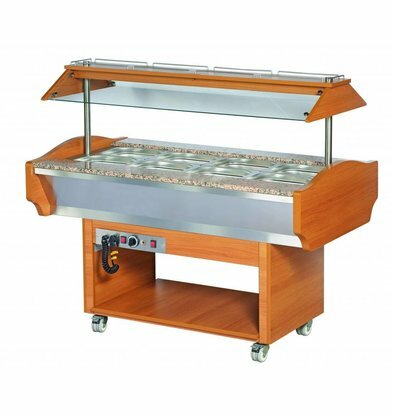 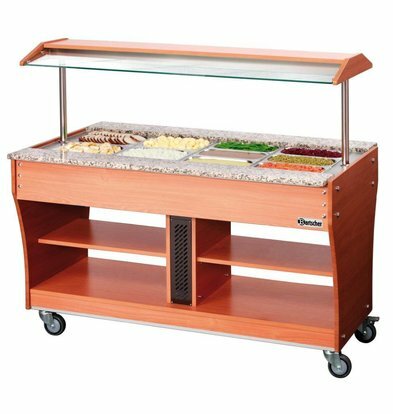 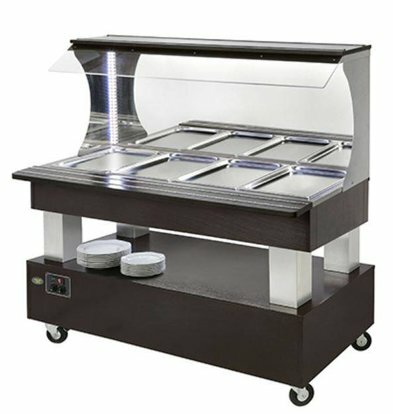 Each bain marie buffet of XXLhoreca comes with maximum guarantees from suppliers such as Diamond and Saro. 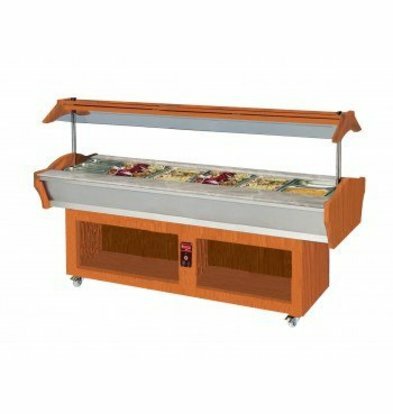 They are available in different capacities. The big advantage of a Bain Marie Diamond wall buffet is apparent when you look at this setup close. 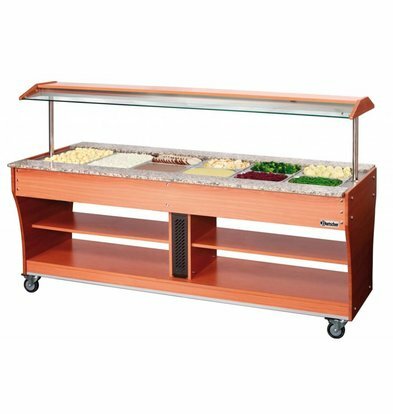 The bain marie buffer wall is stylishly designed with chic wooden base cabinet and heat up to 90 degrees. 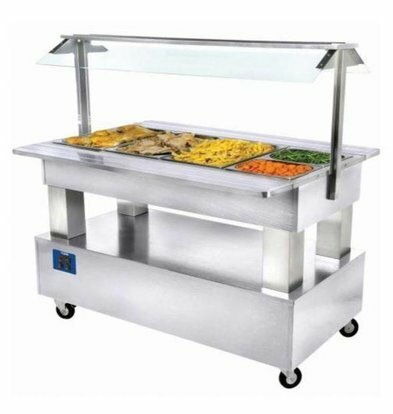 The top is beautifully executed with stainless steel uprights and a beautiful lighting so that the various dishes are excellently presented. 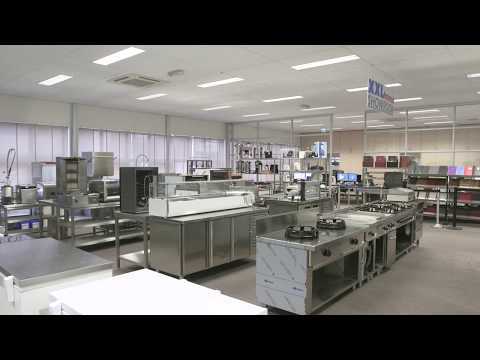 Bain marie islands and buffets XXLhoreca are already delivered within 72 hours to any address in the Netherlands. 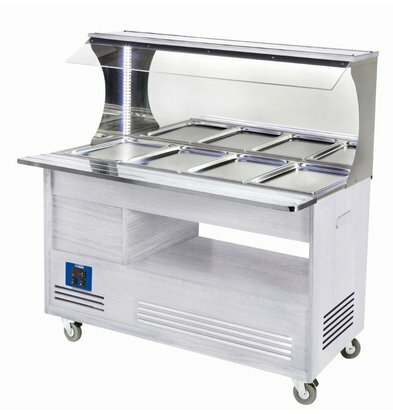 For questions about our models bain marie, you can contact our customer service.